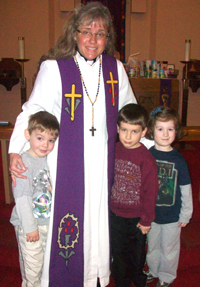 Messiah Lutheran Church Welcomes You! Shop with Thirty One Gifts now until April 20th and Messiah receives 25% of sales to help support our ministries! So if you're ready for spring cleaning, organizing your home, Easter surprises, Mother's Day, gift shopping or just a treat or two for yourself - follow the link below and shop!! Assistance Ministry will be held every Monday from 11:00 am to 1:00 pm. Want to use our space for an upcoming event? Click HERE to download our Use of Facilities Policy and Application. For photos and description of our useable spaces, CLICK HERE for a spec sheet. Can't find what you are looking for? Visit our Site Map. Our congregation was officially organized on May 7, 1954 with 35 people present. Since then, Messiah has thrived in the community, and has strived to make Christ’s love known to all who enter our doors – through worship, through education, through our facilities, and through fellowship. for your interest in us. If you would like to learn more about us, or would like to become a part of the fellowship of Jesus Christ here at Messiah, please contact our pastor, either in person, by phone, by email, or with a letter. We look forward to hearing from you!